We are a leading Manufacturer of welding positioner from Pune, India. Being an affluent organization, we are manufacturing and supplying a premium quality range of Welding Positioner. 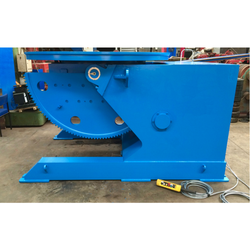 Our highly demanded positioners are widely utilized for welding barrels. These products are fabricated at our state-of-the art infrastructural unit availing ultra grade of raw material and high tech technology. In order to meet the varied requisites of our valued clients, we offer these provided positioners in diverse specifications. Our clients can avail these products within the promised time-frame from us.